Queen Sheba Village – Aiding Humanity! When women are empowered and have necessary educational resources they are equipped to financially support their families, they are ensured health, secured education, child protection and upward mobility in society. Infant mortality is reduced. As prosperous business owners these women are also better able to contribute to their communities to combat unemployment, poverty, hunger and violence. Queen Sheba Village (QSV) focuses on the well being of women and girls in rural Senegal, West Africa. QSV is currently fundraising to build a educational social center that will empower Women and girls to achieve their dreams in a motivational environment to thrive. Our education, health and business-building programs help impoverished families become financially independent. QSV workshop projects are intended to eradicate poverty and hunger, reduce child mortality, improve the overall health of women and girls, promote educational opportunities for women to gender equality. Over the years we have conducted various activities adhering to the needs of communities in many locations in Senegal. By building The QSV Education Empowerment Center for women and girls it will allow us to greater the impact of progress educating, empowering and serving communities far and wide. We seek to create conditions where families are economically stable and better connected to Greater Senegal. Create a branded fundraising campaign. Make a sound pledge and fulfill it! We have successfully fundraised to purchase a beautiful land and now by donating high quality concrete and raw materials, etc let’s build on it! Host events to aid, educate and advance women in rural communities. Provide free school supplies to children in rural villages. Donate hygiene products for women, children and men during public health events. Offer classes and workshops on micro-credit economics, healthcare and entrepreneurship. 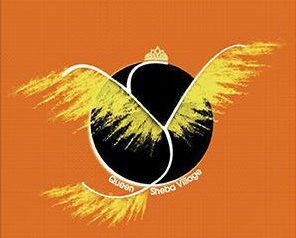 Please support QUEEN SHEBA VILLAGE efforts with a tax deductible donation to the extent allowed by law. Thank you for your support. QSV focuses its humanitarian efforts on education, micro-finance entrepreneurship, health & hygiene training, and educational endeavors to benefit the rural communities where the organization serves in classrooms and conducting workshops. Currently we are in the planning stages of construction of a women and girls empowerment center.